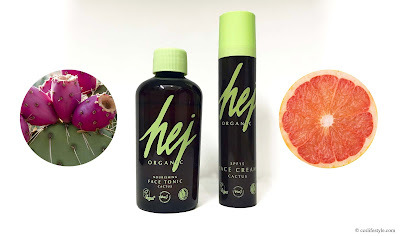 Hej Organic is a German brand founded in 2016 in Germany that creates vegan natural cosmetics that are not tested on animals and are produced in cooperation with local manufacturers. The nourishing face tonic has a very fresh scent and cleans the skin deeply. It contains grapefruit extract and prickly pear blossom water that moisturize and nourish the skin. It is used after cleansing the face, removes skin impurities and leaves the skin purified and refreshed. The Face Cream also contains grapefruit extract and prickly pear blossom water to moisturize and nourish the skin and provide it with new vitality. The face cream has an SPF 15. During the colder days it is important to protect the skin against the sun too and with the prickly pear oil and the argan oil the face cream is very nourishing and has an antioxidant effect. The cream has a fresh scent and a rather thick consistency but it soaks into the skin very quickly and leaves it nourished, protected and soft. We like the philosophy of the brand and also the simple but still catchy design. The products we have used so far are perfectly tolerated by our skin and very effective, leaving our skin perfectly cared for. The threepenny opera, a play by Bertolt Brecht with music by Kurt Weil plays at the Theater Basel now. The threepenny opera contrasts two prototypes of capitalist order. Macheath, known as Mac the knife, womanizer and boss of a London gangster organization and Jonathan Peachum, the proprietor of the company The Beggar's Friend. As Mac the Knife marries Polly, Peachum's daughter, the scandal is complete and Peachum is doing all he can to get him arrested and possibly even hanged. The threepenny opera criticizes capitalism and corruption and makes visible how love and economic relationships relate sometimes. 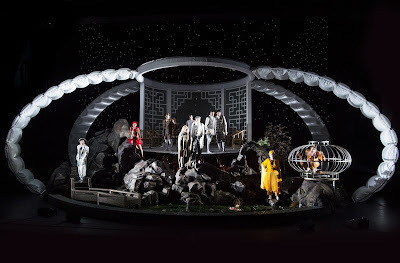 In the production from Dani Levy, the threepenny opera is played in a futurist clinic in space, Mammon 1, where rich people get cured from their mental diseases. Playing the threepenny opera is a part of their treatment. The threepenny opera is very entertaining and thought provoking at the same time and we like the production with the mental hospital a lot, as all the actors play a role within their role, first the role they have as the patients and then also the role they play in the threepenny opera.